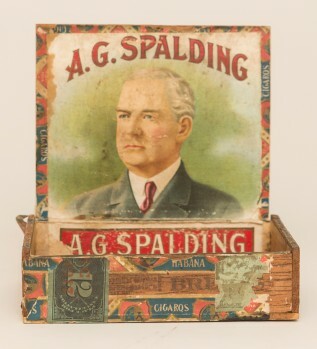 A.G. Spaulding Cigar Box with paper label inside. 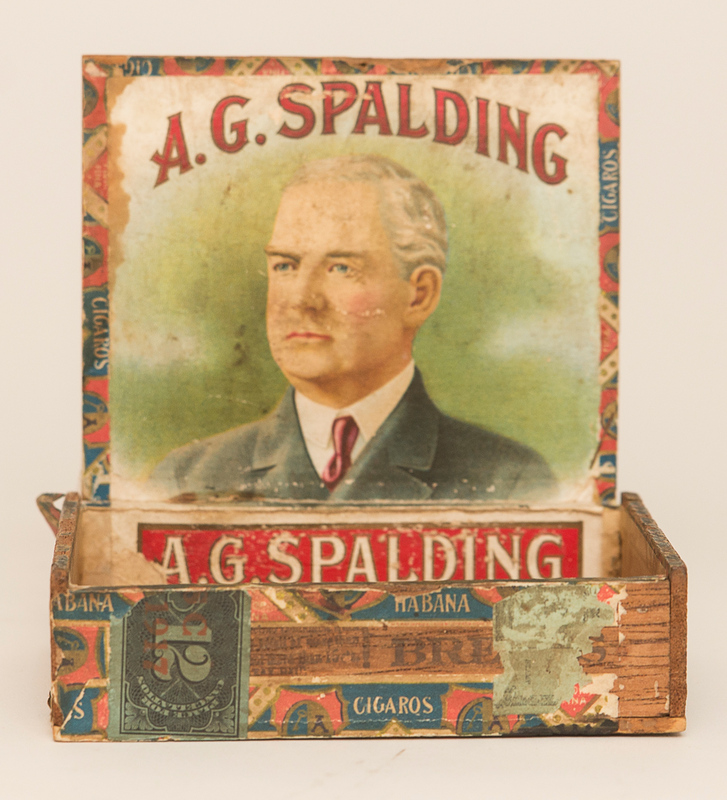 Spaulding played professional baseball in the 1870s, and was involved in the sport after his professional career as well as starting the Spaulding Sporting Goods Company. Box is in fair condition with crease across label. Size: 5.5" x 4.5" x 1.5"